BKV Group is a full-service architectural design firm that offers solutions for a variety of industries and is dedicated to designing great projects that strengthen communities. They have earned an elite level of respect through their 40-year history and award-winning design work. While adding a fourth US practice site, BKV Group decided to raise the standard for themselves internally — to fully showcase their impressive record and dominance in their competitive industry. BKV Group wanted a website and brand that would mirror their unique design offerings, and act as a profile for their full range of capabilities. BKV Group selected Rocket55 to develop a brand and a website that highlighted their intelligent and one-of-a-kind architectural solutions. BKV Group was looking to effectively showcase their highly-experienced and expansive portfolio — in an industry where aesthetic is top priority. BKV Group offers various services ranging from engineering, to interior design, landscaping and more. Their work spans nationwide in a variety of applications including government, commercial, housing, and hospitality. With a talented team and a large profile, BKV Group put themselves in a great spot to stay competitive in a challenging industry — not only for attracting more projects but more talented recruits as well. They entrusted Rocket55 to work with them to create personal branding that matched their degree of aesthetic and an intuitive website that appealed to their diverse clientele and potential new talent. Rocket55 developed a brand and a website design that matched BKV Group’s unique personality and experienced background. Through branding workshops, Rocket55 outlined the established brand BKV Group had crafted over the years. In collaboration with BKV Group, our team added modern design elements and a fun, personal tone to their brand that aligned with their identity and experience. 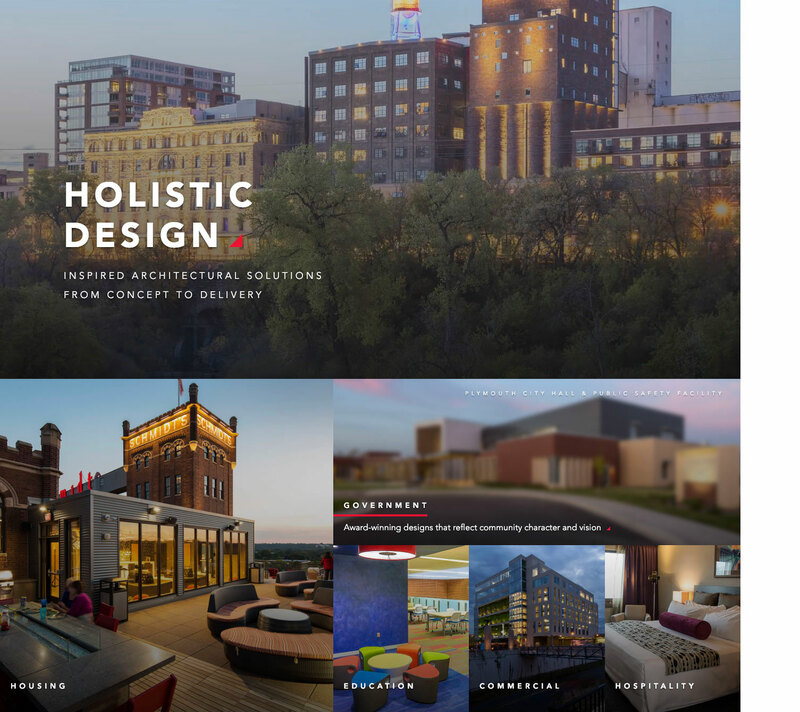 Rocket55 leveraged user experience best practices and design ingenuity that matched BKV Group’s standards to develop a website that raised the bar for the architectural industry. The new website combined eye-grabbing visuals of their extraordinary work with easy navigation to services and industries. Most importantly the custom-built website created a memorable portfolio for potential clients, new talent, and envious competitors. To understand BKV Group and their clients from the inside out, Rocket55 facilitated branding workshops, which detailed the realities of how they compete, what their challenges were, and who they aspired to be. Once Rocket55 felt confident in what BKV Group stood for and who they appealed to — our team got creative. BKV Group wanted to illustrate their uniqueness to appeal to a younger talent pool without marginalizing traditional clients or discounting a 40-year history. By deconstructing their logo into modern design elements and updating their voice to sound confident, intelligent and fun BKV Group would be able to attract fresh talent while showcasing the distinct style that had been there all along. Harmonizing the aesthetic and content direction spoke to both audiences and created something beautiful. 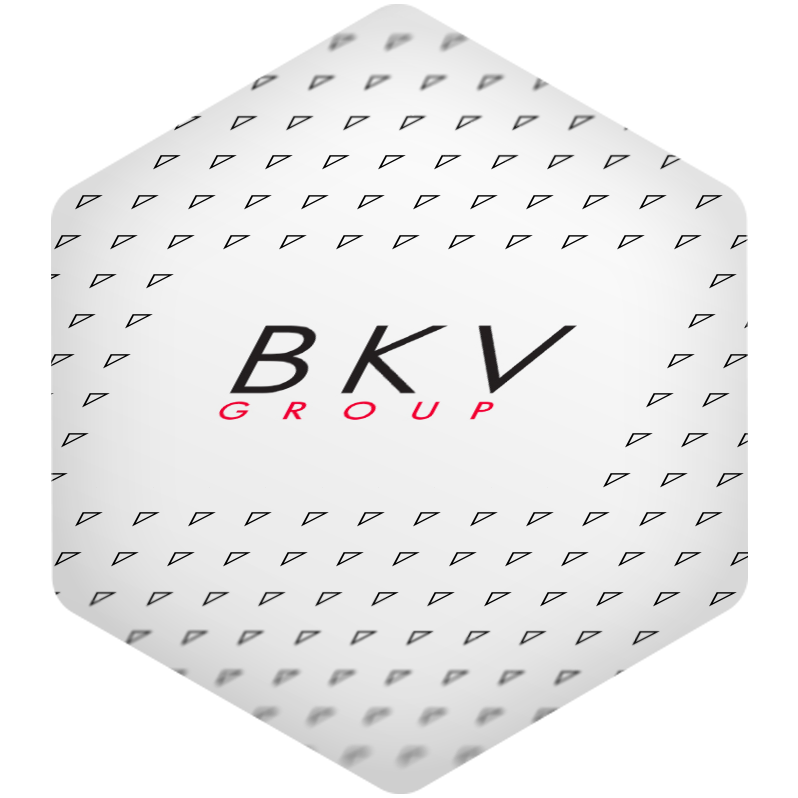 After creating a new identity, our team ensured BKV Group’s personality was translated to the website properly. Taking a different approach to the user experience than most of their competitors, Rocket55 created “moments of joy” through micro-interactions and closely tied brand elements with the work they portrayed. Our most interesting spin on the design was to use a non-conventional menu system and logo placement. Nine times out of ten, general logo and menu systems read left to right, but in our design, the logo and menu were both placed on the right. The new menu navigation provided a more unique experience for the user and let BKV Group’s beautiful work take the spotlight quicker. Appealing to both established and new audiences, BKV Group could now truly own their unique position and dominance in the market. BKV Group’s willingness to step outside the box gave Rocket55 the ability to design a genuine website that showcased a creative, dedicated, and highly-experienced company. New branding and content allowed BKV Group’s unique personality and charm to capture users’ attention. Large images of their projects and intriguing website design elements let their work take center stage and made navigation simple. Through a combined desire for accelerating business growth, Rocket55 launched BKV Group into their next era of designing inventive projects that greatly impact communities nationwide.